Move over Sprinter Van, there’s a new adventure-mobile in town. 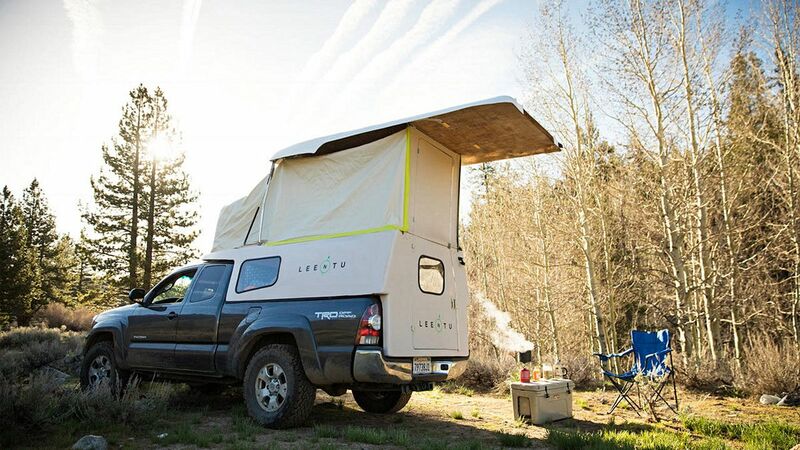 The Leentu pop-up camper will transform your truck into a road trip machine. 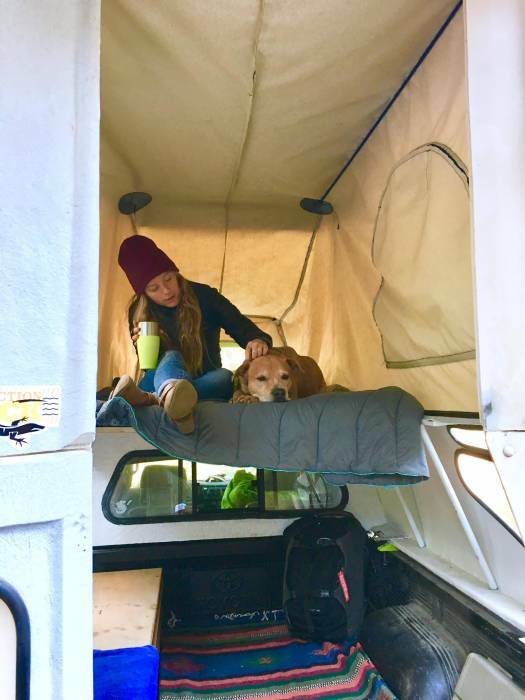 Anyone who’s ever spent an extended time camping (or living) out of the back of a truck knows the importance of extra space and flexible organization. And while there are surely some solid pop-up camper options and plenty of DIY innovations, there hasn’t been a good in-between. Until now. 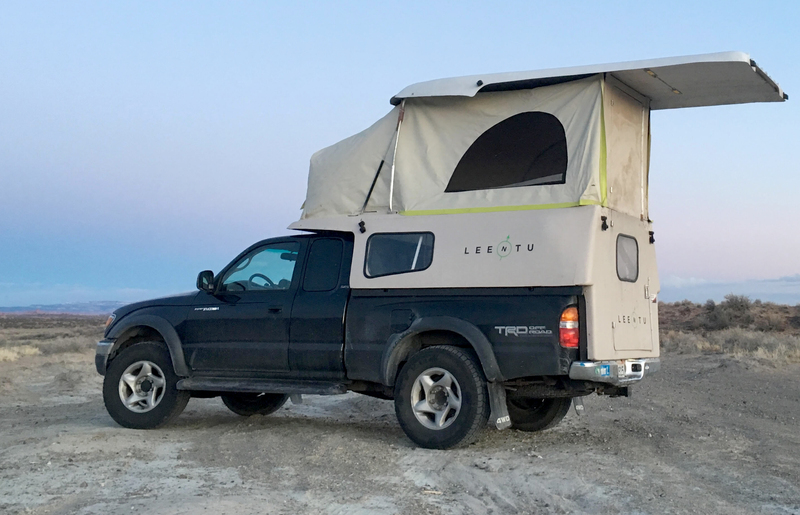 Currently taking preorders, the Leentu offers over 6-feet of standing room when open and a sleek, aerodynamic design when closed. 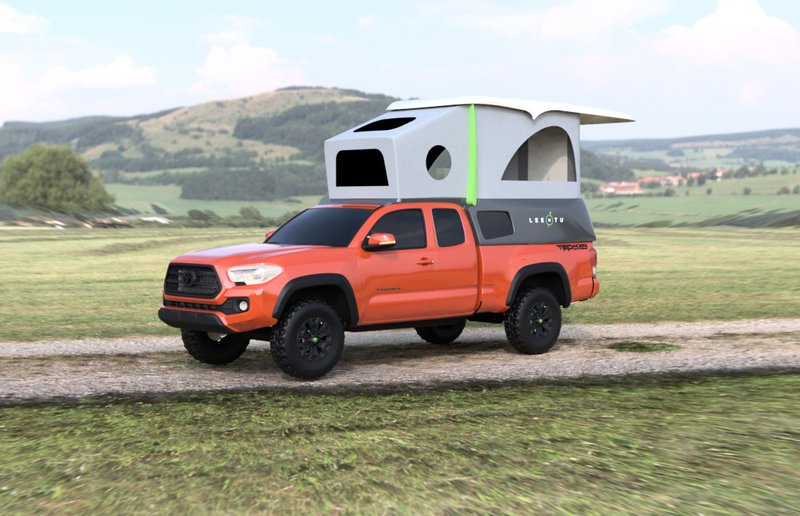 The brand constructs each camper with composite sides and a “marine grade” pop-up tent, complete with zippered windows. The lofted bed can be reconfigured into a couch, and every unit comes with interior LED lights and five USB charge ports. 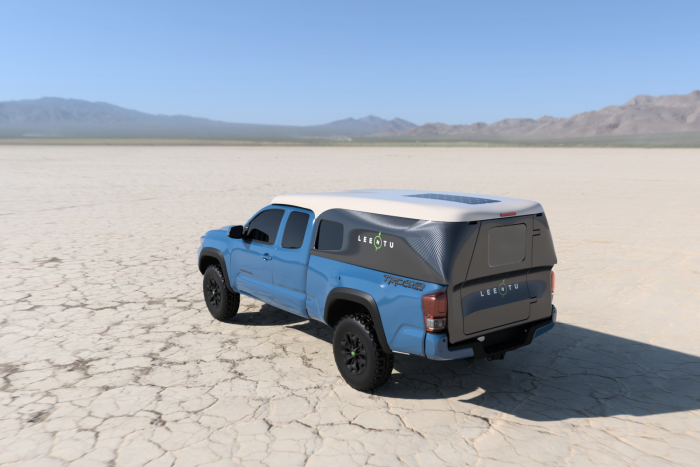 Offered in two models – lightweight fiberglass and ultralight carbon fiber – it currently only fits 2005 and newer Toyota Tacoma long bed models. But the brand has plans to outfit the Toyota Tacoma short bed, Chevy Colorado, GMC Canyon, Ford Ranger, and full-size trucks in the near future based on market demand. The most impressive thing about Leentu is the weight – or lack thereof. The composite model weighs less than 150 pounds, and the carbon fiber unit comes in under 100 pounds! And serious overlanders and road trip junkies know weight matters. It means better gas mileage and less engine stress. Every pound you save on the camper is another pound of gear you can bring on the adventure. We haven’t yet thoroughly tested the Leentu. 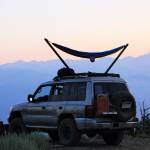 But we did see a prototype at the Overland Expo and were immediately impressed. Leentu’s ability to combine weight-saving technology with a flexible layout has us dreaming of a test drive. And with a classic design aesthetic, we could see putting this on the truck for a camp adventure and happily keeping it installed all year round. It could very well be the Toyota Chinook of the modern era. And while it’s not cheap – priced at $10,295 for the fiberglass version and $13,995 for the carbon fiber model – it’s downright affordable compared to other mega camper options. If you have a pile of cash, a long-bed Toyota Tacoma, and an adventure-mobile dream, this could be the answer to your off-road prayers. Preorder now and save 20 percent off MSRP.